DO YOU OR YOUR GYMNAST HAVE ANY OF THESE PROBLEMS? -Has your gymnast “lost” their round-off back handspring and or “lost” other back tumbling, beam or gymnastics skills? -Is your gymnast afraid of back tumbling or other gymnastics skills? -Is your gymnast not doing not doing the same skills they were last year because they are afraid? -Are you paying a lot of money every month and your gymnast is not making any progress because of fear? -Are you and your gymnast frustrated by their inability to do skills they previously did for months and years? -Is nothing that you or your gymnast’s coach able to get your gymnast to overcome her fear? -Has this fear been going for months or years now? -Is the fear of back tumbling starting to spread to other events like beam and bars? -Is your gymnast’s coach showing signs of impatience and frustration and starting to spend less and less time and effort with your gymnast? Why Hasn’t This Problem Been Solved? Coaches are not able to fix this problem because it is not a gymnastics skill or training problem. It is a psychological problem residing deep in the subconscious. When gymnasts are unable to overcome their fear of skills they have previously done successfully for months and, perhaps even years, it means the fear of doing the skill is now rooted deep in the subconscious mind. At his point, the fear is almost completely resistant to rational logical thinking, promised external threats or rewards, and standard coaching methods. Normal coaching methods and the normal motivations that parents or coaches try to use to deal with this are ineffective because the problem is locked into the subconscious. The cause of the problem may or may not be obvious (a serious injury received while doing the skill would be an obvious cause). Sometimes there is no cause of any kind that the gymnast, coach or parent can discern. It is sometimes possible when coaches patiently spot the skill over and over every day for several months to two to three years, that the fear can eventually go away. In this case there is always the possibility that the fear will return. Most gymnasts, parents and coaches are not this patient and without intervention, the gymnast almost always quits the sport frustrated regardless of their former skills and abilities. When coaches or parents are impatient, demanding or threatening, this additional stress and the extra anxiety it causes only aggravate the fear problem. What those of you in this problem situation want and need is something that will quickly, effectively and permanently erase the fear and get your gymnast back to tumbling, doing whatever skills they have been having trouble with and start progressing through the sport again. For gymnasts, the fear and frustration will disappear and their old skills will return along with their confidence. For parents, you will again be able to watch your gymnast progress through the sport. After years of studying this problem and experimenting with a variety of potential solutions, we have finally discovered and developed a solution that works and that we can deliver anywhere in the United States. Hypnosis is the only efficient and powerful enough method to change the subconscious and eliminate the fears that interfere with gymnasts reaching their goals. Hypnosis communicates directly with the subconscious and with the correct hypnosis methods can remove the causes of fear, reframe their mental attitude and automatically put gymnasts in the right frame of mind to perform whatever skills they were having problems with. This is not old style hypnosis, using boringly long inductions and adapting flowery scripts from some other problem to a gymnastics problem traditional hypnotists don’t understand at all. This is a direct powerful hypnosis model devised by the author of this web site who has 25 years of experience with both gymnastics and hypnosis. The hypnosis method is strong and effective and the hypnosis sessions can be done over the phone making them accessible for anyone in the United States. No one else is offering or able to offer this made for gymnastics hypnotic method because they certainly don’t have the same depth of gymnastics knowledge necessary and may not even have a strong enough hypnosis model. This method has been tested and refined over thousands of sessions and successfully used on hundreds of gymnasts over a 15 year period. This is a mental engineering system to overcome the most common tumbling fear that works to overcome the fear doing back handsprings or any other gymnastics fear or fears. After the fear of back handsprings, the fear of doing other back tumbling, like fear of back somersaults is the next most common gymnastics fear problem. The most common gymnastics fear on beam is the fear of doing a beam back tumbling series – fear of back handspring, back handspring series, fear of back walkovers, fear of back handsprings or fear of back walkover, back handspring series. Often back tumbling fear can spread from floor to beam or vice versa. I just wanted to give you an update on our daughter. She has been using your Fear Cure system for about a month and a half now, and you spoke with her a few weeks ago to give her tips for conscious mind techniques (she was the girl who hardly spoke but remembered everything you said :)). She had a meet this past Sunday and not only competed on bars, but got first place on them and second all-around! I wanted to thank you for your product and assistance with her. She was so excited and proud of herself! Now that we seem to be over the fear of a skill she has performed in the past, we are going to have her listen to some of the courage resources from version 2.0. We are trying to do what we can to give her more self confidence (especially on beam) and let her coaches hone her skills. We hope that getting over this bar jumping fear will help her be as good as we think she can be. Since you have been so helpful to us this year, I wanted to let you know about Ann’s final meet – the State Meet. She came in first All Around and won three individual 1st places! It was truly amazing. Not too long ago, she would not tumble, would not do her beam pass – nothing. This turn around has been amazing. I have no doubt it is a combination of her determination and your program. She listens every night, even bringing you with us when we travel. Today was was a wonderful day. She just told me she cannot wait to see how far she can go with gymnastics. I hope you can share in a little girl’s success. This Gymnastics Cure Fear system is designed to cure any and all other gymnastics skill fears, including fear of bar skills like fear of flyaways, fear of jumping to the high bar, fear of giants, fear of vaulting, etc. Are you frustrated because you can’t do skills you have easily done before? Is fear interfering with your ability to progress and have fun in the sport? Are you unable to compete to the best of your ability because you are held back by fear? Did you have or see an accident that is making you scared to do certain skills? Is your fear interfering with your competition success? Is the problem spreading and getting worse and worse? Don’t worry, there is a solution to your fear problem! Do you know a gymnast who freezes from fear? Do you know a gymnast who used to tumble great and now has a fear of tumbling or other gymnastics skills? Does it seem like nothing you do works to overcome the fear problem? Is there a gymnast you now have to spot way too much because they are fearful? Is fear interfering with your gymnastics team’s success? The solution is now here. Recommend this program to your fearful gymnast and their parents. Are you paying a lot of money every month for a gymnast who freezes or balks on certain gymnastics skills? Is fear ruining your gymnast’s competition career? Are you spending hundreds of dollars every month for gymnastics training and competitions but your gymnast is unable to do certain skills and compete successfully? 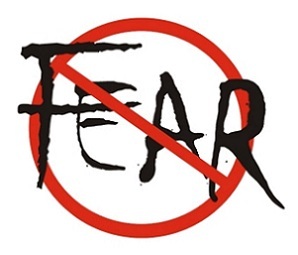 Does it seem like nothing the coaches or your gymnast does improves the fear problem? Are you ready to quit wasting your money every month and solve this problem, once and for all? You’ve just stumbled upon the only proven, hypnotic method for curing fear in gymnastics. It took tens of thousands of dollars (over $100,000 over the last ten years), over 15 years of research and thousands of hours of gymnastics hypnotherapy session testing, to develop this program. It took months to plan, write, record, edit, mix and perform all of the technical editing to create the hypnosis audio system you purchase now. This systematic hypnotic method is so powerful, so comprehensive and so unique that it dwarfs all previous gymnastics related hypnotic efforts. Yet it is so recently completed that you may not have yet heard of it, but soon gymnasts from all around the world will be using it, just like thousands of gymnasts, parents and coaches from all over the planet have already read GymnasticsZone’s gymnastics books. To do that, weI had to include, in the Cure Gymnastics Fear System all of the most powerful and successful technical hypnotic techniques and strategies, the latest hypnosis technology, neuro-linguistic programming and a new comprehensive hypnotic system. we have included only the techniques and strategies that have already been proven to work in my personal research. This Cure Gymnastics Fear hypnotic system by GymnasticsZone allows parents and gymnasts all around the country and world to be able to use this system. The Gymnastics Cure Fear System is designed to cure gymnasts who have become afraid to do skills they previously did easily. One of the most common examples of this problem is gymnasts who have become fearful of doing back tumbling, like round-off back handsprings on floor exercise even though they had been successfully doing them for years. While the most common gymnastics fears are back tumbling on floor exercise, back tumbling on beam and flyaways on bars, this program is designed to work on fear of any skill or skills on any event. This product is designed to help gymnasts overcome a fear of a skill they have already previously done for a significant period of time. It is NOT designed, safe or guaranteed for gymnasts who are trying to learn, or are afraid of learning new gymnastics or tumbling skills. This product will make gymnasts overcome their fear, and it may not be safe for gymnasts, just learning new skills to be totally fearless, as their newly implanted confidence may exceed their learning capacity. So this program is not designed to be used for gymnasts â€œafraidâ€ to do skills they have not yet learned, or are not physically and mentally prepared to do yet. As a further safety precaution, all gymnasts using this program should test the results of this program, practice and compete ONLY while supervised by professional gymnastics coaches in fully equipped gymnastics facilities. Gymnasts, using the program, should completely follow the instructions of their professional coaches as to what skills they are ready to attempt on their own and when. What Happens When You Use this Cure Fear System? Gymnastics skill and tumbling success is achieved. Gymnasts again become able to do the former problem skills without balking in both practice and competition. The program removes the fear or reduces it to such a low level that it allows gymnasts to successfully return to their previous performance and skill level. Can You Fix this Gymnastics Fear Problem? Fixing the negative mental gymnastics fear mind problem with hypnosis and our other techniques usually is straightforward, and occasionally somewhat more complicated, but the problem can definitely be fixed, if gymnasts and parent follow all of our instructions. How Do You Know the Fear Cure Works? It has Been Tested on Hundreds of Gymnasts in Over a Thousand Sessions! We have personally tested and used versions of this system with hundreds of gymnasts in over a thousand hours of Gymnastics Fear Cure sessions. This latest version has had a positive effect in every single case and has worked successfully on everyone who has tried it. The largest variable is the amount of time that it takes for the desired effects to take place. For most, it works very quickly. For others, especially those who have had the problem over a longer period of time, the effects can come more slowly or the sessions have to be repeated. To help ensure the success in curing gymnastics fears, this product is designed and produced using the latest in hypnosis technology. While to a layman, the technology is most likely unfamiliar, you can be sure we have used all the latest hypnosis technology techniques to speed the effects and to guarantee that they will work on everyone who uses them correctly. A New Comprehensive and Powerful Multiple Session Gymnastics Fear Cure System, not just a few generic hypnosis scripted sessions. Click on the Contents and Bonuses tabs above to see the complete Gymnastics Fear Cure System and you will be able see all of the methods used in this program. This should give you a much better idea of what you will be getting. We have the most experience or anyone in the world dealing with curing gymnastics fears and we have cataloged all of the named causes we have encountered so far. Each of those causes has a specific fear clearing technique designed to solve that particular fear problem. We also have successful generic fear clearing techniques to solve the fear problems for gymnasts with no specific discernible cause . Our materials provide gymnasts, parents and coaches with a complete education as to all aspects of curing tumbling and gymnastics fears with conventional methods and our own special Fear Cure system. This program will give you radical new advanced methods of curing gymnastics and tumbling fear. This is not some warmed over program adapted by some psychologist or hypnotist who does not understand gymnastics, gymnasts and gymnastics and tumbling fears. This system was created by perhaps the world’s only individual who is both a master coach and a master hypnotist. 1. A General Introductory Gymnastics Mind Engineering and Hypnosis Session. 2. An Initial General Negative Mind Clearing Hypnotic Session. 3. An Away-Towards Session to motivate gymnasts to move away from the problem and towards the solution. 4. ITE (Initial Triggering Event) Fear Clearing Session. 5. Two Fear Clearing techniques using the mental metaphors of a doctor’s operation and an ideal training gym. 6. A Fear Memories Clearing Session using the Three Screens Clearing method. What Are These Sessions and What Do These Sessions Do? This initial general negative mind cleaning works to clear about 80% of a gymnast’s minor negative experiences from all of their past. If a gymnast’s fear is a mild case, sometimes this sessions in all that is needed. This session is a good hypnotic session to repeat on a regular basis, even after the fear is cured to eliminate any subsequent general negative thoughts and emotions of any kind. This professional clinical hypnosis session is worth $150.00. This session strongly intensifies the gymnast’s motivation to move away from the fear and all of the consequences of maintaining the fear and also powerfully increases the motivation to move towards a positive solution and resolution. This professional clinical hypnosis session is worth $150.00. 4. An ITE (Initial Triggering Event) Fear Clearing Session. The ITE (Initial Triggering Event) Fear Clearing Session is designed to locate and clear the specific initial psychological cause of the fear and overcome the initial gymnastics fear. This session is important to because it is designed to clear the initial cause of the gymnastics fear so that the fear will not return. This professional clinical hypnosis session is worth $150.00. 5. Doctor’s Clearing Session and Ideal Gym Training. This session uses two Fear Clearing techniques using the mental metaphors of a doctor’s operation removing the fear and an ideal training gym where the lost skills are relearned and improved. This professional clinical hypnosis session is worth $150.00. 6. Three Screens Technique Fear Clearing Session. The Three Screens Technique uses time distortion and modification techniques to remove fear from the future. This professional clinical hypnosis session is worth $150.00. The total value of these six professional clinical hypnosis sessions is $900.00. One of the most effective methods of programming or reprogramming the subconscious mind is repetition. To successfully overcome and reprogram the fear which gymnasts may have had for a long period of time (months, even years), we need to counterbalance all of the fear negativity with enough positive programming to tip the balance of the subconscious to the positive side of confidence and courage. To counter months of negative fear we have gymnasts create night time session playlists matched to the number of hours they will be sleeping that night. All night the positive programming counters and eventually overcomes the fear negatives. Science has shown that humans sleep in two 45 minute periods of Theta (light to medium deep sleep and also the hypnotic trance state) and Delta (deep sleep) brainwave activity. Each one of the six night sessions are edited to fit in two 45 minute sessions, matching natural sleeping patterns. We did this to minimize any potential sleep disruption. Since the subconscious mind is always “awake” and it is the subconscious which we are trying to program, night time sessions allow gymnasts to work on their problem while they are asleep. This is useful because gymnasts can spend way more time working on their fear and yet still be able to fit 7.5 to 9 hours of hypnotic programming into their regular schedule of sleeping. Very convenient and effective, too. The total value of these six night time sessions is $900.00. This document is designed to clearly explain, to parents and young gymnasts, the best techniques and strategies on how to use the Gymnastic Fear Cure System. It clearly explains what gymnasts need and are expected to do to successfully use the Gymnastic Fear Cure System. These session versions are from the 2010 previous version of the Cure Fear Program. They have been successfully used to cure hundreds of gymnast’s fears. They can be used in conjunction with the above new (but traditional) version. The 2010 version used some different hypnotic technologies including dual induction for confusion hypnosis and more aggressive hypnotic sound technologies. If used, each of these older version sessions should be rotated into use with the above sessions for both regular and night time hypnosis sessions. This mind engineering session is a different introduction to trance and mental A General Introductory Gymnastics Mind Engineering and Hypnosis Session. This mind clearing session clears general negative thought, experiences and memories from the gymnast’s mind. This clearing session goes after the specific experience that triggered the fear in the first place. This clearing session uses a trip through a symbolic Hall of Memories to clear fear memories. This session goes back in a gymnast’s past and collects positive “resources” in the form of memories and experiences along with imagination to utilize against fear. This inner courage resource session is also designed to use once the fear cure has worked, to keep fear from returning and to gain access to the gymnast’s existing inner resources, strengthen and build them in and create new internal gymnastics mental courage reserves. This session uses positive reinforcement to counter balance and overcome the fear. These session versions are also from the previous 2010 Version 2.0 of the Cure Fear Program. A Total 22 Fear Clearing Sessions!!! What Causes Gymnastics Fear Problems? All body movements, including all learned gymnastics skills, are controlled by the subconscious mind, and for one of a number of reasons, the subconscious thinks it needs to protect the gymnast from doing this skill. Sometimes the reason is obvious – the gymnast had a bad fall and became scared of the skill. Sometimes the reason is not as obvious and the gymnast merely saw someone fall, or misintrepreted a comment or just matured and came to realize they are not invulnerable. Either way, the subconscious tries to protect the gymnast and is doing it by stopping them from doing the skill. Is This Kind of Gymnastics Fear Normal? You are certainly not alone in having this problem. While it may not be exactly normal, our research indicates that it is very common. Over the last seven years we have been contacted by literally hundreds of gymnasts and parents regarding this problem. At any one time, between 6% – 8% of competitive gymnasts are experiencing enough fear to balk on gymnastics skills in gymnastics competitions. That obviously does not include gymnasts who are not at meets because they are scared. We have encountered gymnasts of all levels, from beginner competition levels to the National level and even the Elite Level suffering from this problem. Why Am I Afraid of Gymnastics Skills I Know I Can Do? Your subconscious mind works like a computer hard drive. It has stored all your emotions, thoughts, feelings, fears, your behaviors, every moment since the day you were born. It basically makes you who you are. Your whole life is written there just like data on the hard drive of a computer. Your subconscious mind is working in the background, keeping an eye on you, protecting you 24/7 and keeping you safe. But it can only respond according to the way it has been programmed by what has gone on in your life and in your mind. And it will act according to that programming pretty much no matter what your conscious mind does. That’s the reason that even though your conscious mind knows you can do the skill you have trouble with, that almost no matter what you say or try to do, you still can’t do it. You know you shouldn’t be afraid of it, that you really can do the skill, but subconsciously you can’t get past it. Sometimes the reason your subconscious mind wrote that little protect program is obvious, like a serious fall and a bad, painful injury. Sometimes, it is less obvious why it would do it, but still understandable, like if a gymnast has seen a really bad fall or injury. Sometimes gymnasts have just grown up a little and begin to understand that they are not invincible and they can get hurt doing some of the things in gymnastics. And sometimes, the cause is totally unknown and even when and if we were to find out what it is, it seems like that could not possibly be the reason. It can be something as minor as some offhand comment a coach made something like”Don’t tumble that way, you’ll fall and hurt yourself.” With all the things coaches say you wouldn’t think something like that could be the cause, but the subconscious mind is not logical. It’s that simple. This happened because your inner mind did not know any other way to protect you other than to stop you from doing it at all. And you and your coaches and parents have had no way to overcome that program even though you and everyone else knows that it makes no sense for you to be afraid or to not do your problem gymnastics skills. How Long Does the Fear Cure System Take to Work? There is no way to predict exactly how long this system will take for each individual gymnast. The mind is incredibly complex and each gymnast is different. The average range of time for the program to work is from three days to 3 months. Some gymnasts are cured with the very first session. Others need to repeat the program several times before it works completely for them. There does seem to be some relationship between how long a gymnast has had the problem and how long it takes to solve it, but there is still a wide range of response times. How Does The Gymnastics Overcoming Program Work? The Gymnastics Fear Cure System is a combination of technical hypnosis, sport psychology, traditional hypnosis, sound technology, brainwave entrainment, Neuro-Linguistic Programming, and brain engineering. We use literally hundreds of psychological and mind programming strategies and techniques woven into an impressive set of sound, hypnosis and brain technology many of which we innovated for this particular problem and field. When a fear problem in gymnastics has reached the point where the gymnast is balking and unable to do skills they can easily do and did before, often for many years, the subconscious mind has linked fear to that particular skill. Neither conscious thought, bribes, threats or attempts at intimidation are likely to succeed. The subconscious mind is not controlled at this level by the conscious mind so no ordinary motivation, coaching or self-talk strategies directed to the conscious mind are likely to work. The solution lies in altering the subconscious and for this hypnosis, NLP and mind engineering are the only tools that work effectively and quickly enough. The actual process of using the program is quite simple. Basically, you listen to multiple hypnotic fear cure sessions on a regular daily basis until the problem is solved and then you switch to the hypnotic confidence and positive reinforcement sessions designed to keep the problem from returning. If the problem were ever to re-occur for any reason, you can simply follow the same procedures again. Since every gymnast is an individual with an incredibly complex mind, there is some variety in the amount of time it takes to completely eliminate the fear. For some it happens virtually immediately. For others, it may take a little longer. Find out what to do if you are under a competition time crunch to eliminate this problem. Before your meet comes, there are things you can do to improve your chances of solving or at least improving your problem quickly. This program covers them all and tells you exactly what to do, how and when. How does your automatic download system work? Immediately after your purchase through PayPal, our automatic download system will send you an email with download information and links. You have a limited but generous amount of time to download all of the information. What if I have download problems? If for any reason, the automatic download system doesn’t function or you don’t receive your download email, if you were unable to download in a reasonable time or there is any issue with the condition of the e-Books you received, please don’t hesitate to contact us. If there are any problems at all, we want to solve them for you. On Sale for only $377! This mental training program is delivered Immediately. By Now You Know you Need This Program Immediately. And I will promptly refund all your money. Both our girls who have used this program had quick results. One fixed her performance fears on beam and even her floor improved as an extra bonus. The other overcame two fears on beam – her series and then her dismount. The whole program will be downloaded to a computer, right. What about the series for when she is sleeping? Would I need to leave my laptop in her room all evening? Or is that an audio cd? Everything is downloaded to your computer. The format is mp3 so it can easily be downloaded to any iPod or mp3 player and set up in playlists, and preferably using mp3 speakers for nighttime listening. Ear pods and headphones can interfere with sleep. My daughter has used this system successfully for some time now. She is less fearful and more focused in her training. Overall, confidence has skyrocketed! The creator has been more than helpful whenever we had questions. I would recommend this system without reservation!